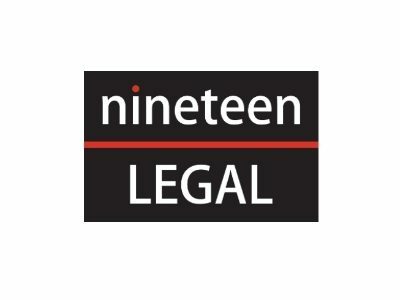 Nineteen Legal is a boutique commercial legal consultancy offering advice and assistance to the Start-Up, SME and Family Owned business market. We believe in working with our clients and getting to know their business and their goals. We offer a tailored service to clients and work on a fixed fee or pay monthly basis. We provide advice and assistance with the legal aspects of setting up and running a business and keep clients informed on the documentation required by them to remain compliant and pro-actively protecting them against risk. We listen to clients and learn about their business, then we make recommendations as to what we think the business needs now and what it might need going forward. We can deal with many commercial matters from shareholder agreements, to director’s service contracts, to terms and conditions, to service level agreements and commercial contracts and also employment advice and assistance. Our clients range from as small as the one man start-up to the established small to medium sized businesses with a typical turnover of up to £10M. We work across a broad range of industries and sectors; insurance, retail, manufacturing, professional services, technology & media, graphics & design and healthcare. Our objective is to deliver affordable legal solutions across the Lancashire area to both the start-up market and also provide a valuable bespoke service to the +5 year old more established business looking to plan for future growth and put in place sound legal foundations on which to continue to build. We make commercially-focussed legal advice affordable in a difficult market. Businesses are increasingly cost sensitive and they do not have a budget for legal advice so sometimes they go without, which can be fatal. Our aim is to fill that gap in the market and help them plan for the future. We care and that’s what makes us great! Spend time in sourcing the right (outside) partners and do not be scared to employ people better than you are. Having studied to Masters Level at the University of Central Lancashire and formed Preston-based Nineteen Legal in 2011, Jane Peters knows first-hand how much support there is available in Lancashire from home grown entrepreneurs, it’s a great community. It’s about putting something back and helping local businesses succeed and grow who will in turn employ young people and provide opportunities for the next generation and beyond.